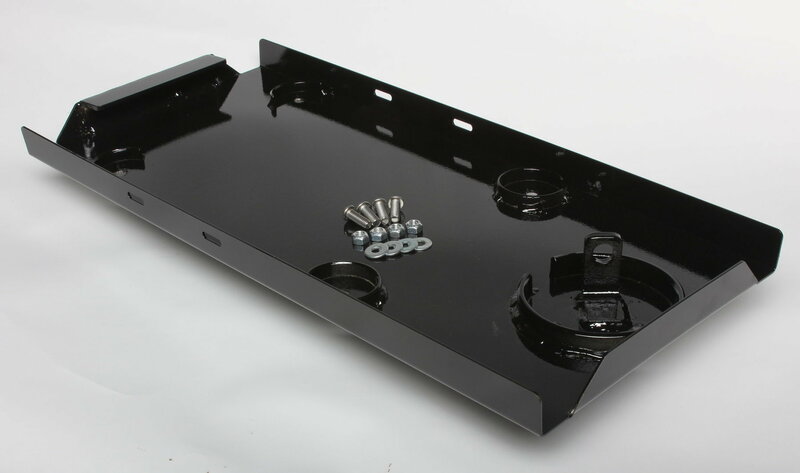 Extra base plate for LowPro LockDown security mount system for Honda EU2000i generator. Extra base plates for our LowPro LockDown security mount system for Honda EU2000i generators. This allows you to move your generator between different secure locations. This is a plate that you bolt onto your pickup bed or current mount position on your trailer using the supplied stainless steel hardware. The button-heads of the bolts cannot be accessed once the generator is locked in place, as they will be covered by the feet of the generator, and trying to turn the nyloc nuts will just spin the bolts. So the bottom plate is secure. Padlock not included. Generator not included. Top plate not included. This is just a base plate.